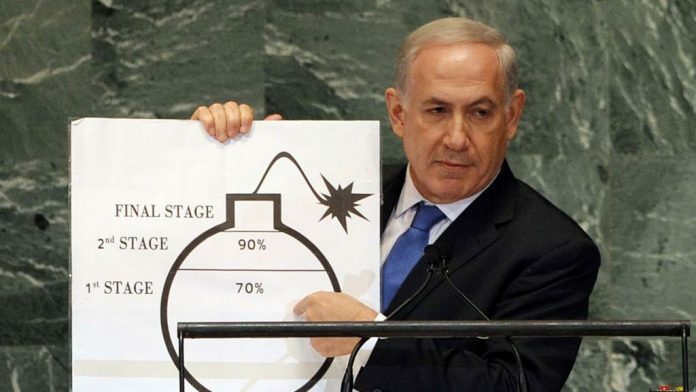 Israel has started repeating its threats of military action against Iran over its nuclear program. The Israeli minister for Transportation and Intelligence Yisrael Katz said last week that the Tel Aviv would take military action against Iran if Donald Trump’s attempts to stop Iran obtaining a nuclear weapon did not succeed. Press TV reports: Iran has consistently said that it is not seeking to build atomic weapons and has put its nuclear program under a most intrusive international monitoring regime as part of a deal with six other countries. “If international efforts led these days by US President Trump don’t help stop Iran attaining nuclear capabilities, Israel will act militarily by itself,” he said in the Japanese capital of Tokyo, where he was to lobby Japanese officials against Iran. He was apparently referring to US administration attempts to have the terms of the international nuclear deal with Iran changed. Katz said Tel Aviv wanted tighter conditions to be imposed on Iran’s nuclear program under a revision of the deal. In an October 13 speech, Trump said he would not certify that Iran is complying with the accord under an American law. The International Atomic Energy Agency (IAEA), the institution formally tasked with the job of certifying Iranian compliance, says Iran is compliant. Trump also threatened that he might ultimately “terminate” the deal. Katz said he had asked the Tokyo government to support steps led by Trump to “change” the 2015 nuclear agreement between Iran and six world powers. Asian economic powerhouse Japan had earlier announced support for the Iran deal. Iran has made it clear that, while it would never launch a first strike, it would obliterate the Israeli regime if Tel Aviv attacked the country. In 2013, Leader of the Islamic Revolution Ayatollah Seyyed Ali Khamenei famously warned that Iran would “turn Tel Aviv and Haifa into dust” if Israel attacked the country. Israeli threats of military action against Iran then subsided. But, while the Tel Aviv regime even seemed to have capitulated to the reality of the deal at one point, it remained zealously opposed to it. Trump’s rise to the presidency in January 2017, however, seemed to have given Israel new cause for hope.